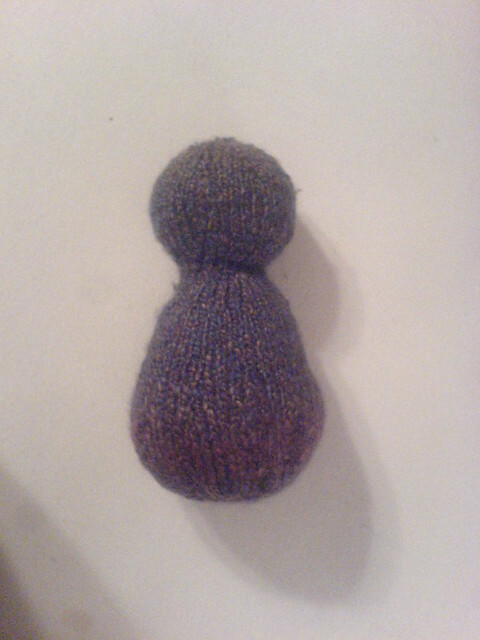 I think I’ve got the hang of knitting in the round down now. I got the monster body done. Now, I’ve just got to knit up the appendages and horns for the head. One issue I had is that my cat thinks the size 6 bamboo dpns are yummy. I tried using just 4 needles instead of 5, but that didn’t work. The chewed-up ends were pulling the yarn, so I had to switch to my shorter ones. They worked better. Next PostNext Creation of a monster….